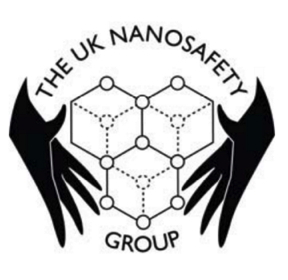 The UK Nanosafety Group (UKNSG) has updated and published a 2nd edition of guidance to support safe and responsible working practices with nanomaterials in research and development laboratories. The document aims to provide guidance on factors relating to establishing a safe workplace and good safety practice when working with particulate nanomaterials. It is applicable to a wide range of nanomaterials, including particles, fibres, powders, tubes and wires as well as aggregates and agglomerates, and recognises previous and current uncertainty in developing effective risk management when dealing with nanomaterials and advocates a precautionary strategy to minimise potential exposure. The 2nd edition of the guidance provides updates to account for changes in legislation, recent studies in the literature, and best practice since 2012. In particular, specific sections have been revised to account for the full implementation of Global Harmonised System (GHS) which came into force on 1 June 2015 through the CLP regulations. The document explains the approaches that are presently being used to select effective control measures for the management of nanomaterials, more specifically control banding tools presently in use. Significant changes can be found in the following sections: ‘Hazard Banding’, ‘Exposure Control’, ‘Toxicology’, and ‘Monitoring’. Of relevance to employers, managers, health and safety advisors, and users of particulate nanomaterials in research and development, the guidance should be read in conjunction with the Approved Code of Practice on COSHH, together with the other literature referred to in the document. The document has been produced taking account of the safety information currently available and is presented in the format of guidance and recommendations to support implementation of suitable protocols and control measures by employers and employees. It is intended that the document will be reviewed and updated on a periodic basis to keep abreast of the evolving nature of the content.